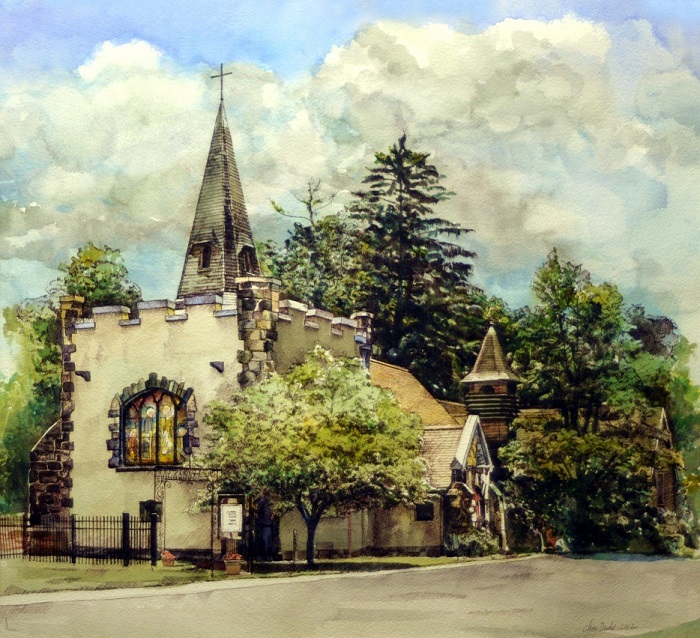 My church hired me to paint our church so that our well-loved, departing priests could take a painting with them as a farewell gift and memento. This is the last one I did. It belongs to the (now) Right Reverend Doug Fisher, Bishop of Western Massachusetts. My News update about this painting shows my presentation of the art at Doug's farewell party.